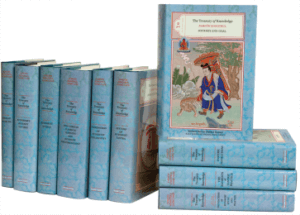 Jamgön Kongtrül Lodro Thaye’s Treasury of Knowledge in ten books is a unique masterpiece: an encyclopedia of the entire range of Buddhist teachings as preserved in Tibet. Tibetologist Gene Smith has referred to Jamgön Kongtrül The Great (1813–1899) as Tibet’s Leonardo because of his significant contributions to religion, education, medicine, and politics. “When he was fifty years old, Kongtrul wrote The Treasury of Knowledge, both the root text and the commentary. During the breaks between sessions of a one-week retreat, he wrote the root text of the Treasury of Knowledge, a treatise on the three higher trainings of discipline, meditation, and wisdom. Later on, he showed this to Jamyang Khyentse, who told him, ‘When you wrote this you must have been inspired by the blessings of the lamas, and your channels opened by the power of the dakinis. You should place the Treasury of Knowledge at the head of the Five Great Treasuries, and you need to write a commentary on it.’ To encourage him, Khyentse gave him many gifts along with these words. So, in only three months, from the fourth month until the seventh month of the Iron Pig year , Kongtrul wrote the commentary to the Treasury of Knowledge, with Khenchen Tashi Özer acting as the scribe”. “The Treasury of Knowledge excellently presents the entire corpus of the sutra and mantra traditions from the paths of the common sciences all the way up to the uncommon Great Perfection or Atiyoga, which is the culmination of the nine vehicles.” —H.H. Dudjom Rinpoche. 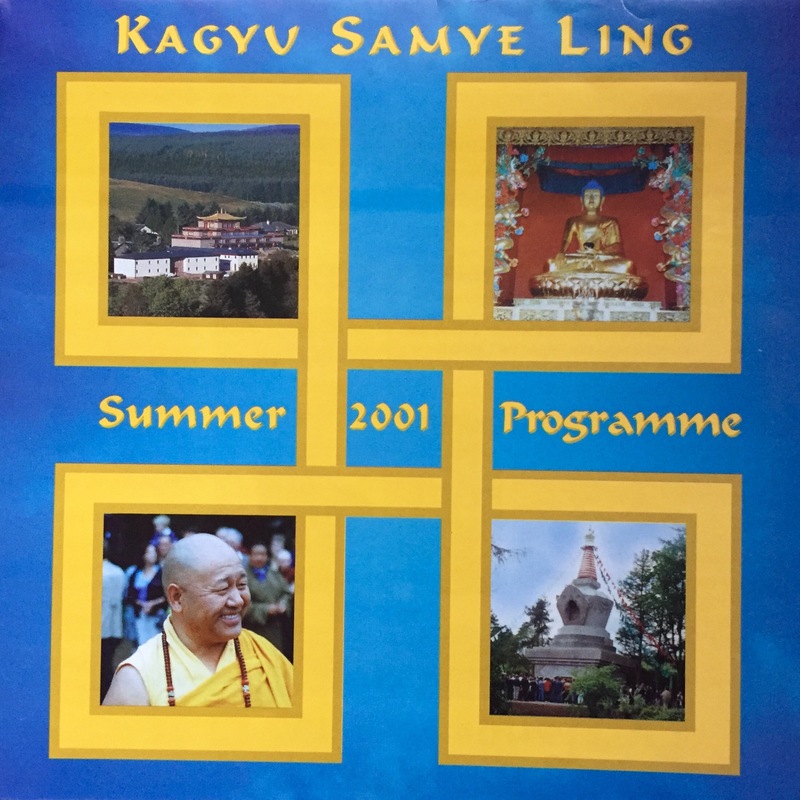 Dr. Chöje Akong Tulku Rinpoche personally requested that Ringu Tulku teach The Treasury of Knowledge at Kagyu Samye Ling: which he did between 1994 and 2003; often spending entire months resident in Eskdalemuir, Scotland. Thanks to the kindness of Lama Yeshe Losal Rinpoche and Bill Trotter, the Ringu Tulku Archive is now able to share Ringu Tulku’s extensive commentaries on these peerless texts. This recording comes from 2001 when Ringu Tulku commenced discussing the teachings on Meditation featured in Book 8 Part one. Parts one (and two) of Book 8 explain how the teachings are to be integrated into one’s life through the practice of meditation, which unites a state of one-pointed attention with profound insight into emptiness. The first recording commences discussion of the commentary from page 222 of the printed translation: “The Necessity of Meditative Absorption“: we have to practice and integrate the teachings in our own lives through meditation; not just have conceptual theoretical knoweldge. We have to walk the walk. Rinpoche illustrates this point with a story about the expulsion then arhathood of Ananda. Photography by Dr Conrad Harvey.